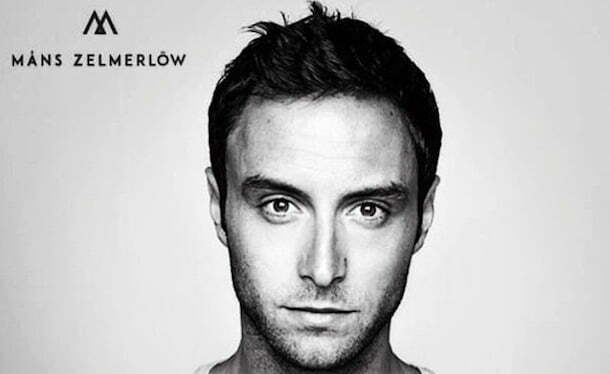 Måns Zelmerlöw was chosen to represent Sweden at the 60th Eurovision Song Contest in March when the country selected him as the winner of Sweden’s national selection competition Melodifestivalen. Melodifestivalen is one of Sweden’s most popular television shows with an estimated 4 million+ viewers tuning in to watch the show every year. This was Måns’s third attempt at winning the show. He first entered the starlight after taking the crown in Swedish Idol back in 2005. Since then, the 28-year-old from Lund has been a familiar face in Swedish media – and a popular teen pin-up. The tall, dark and handsome Zelmerlöw is now bookies favourite to win the entire competition which culminates in the dramatic grand final this Saturday evening in Austria. Listen to the song below in our top 20. 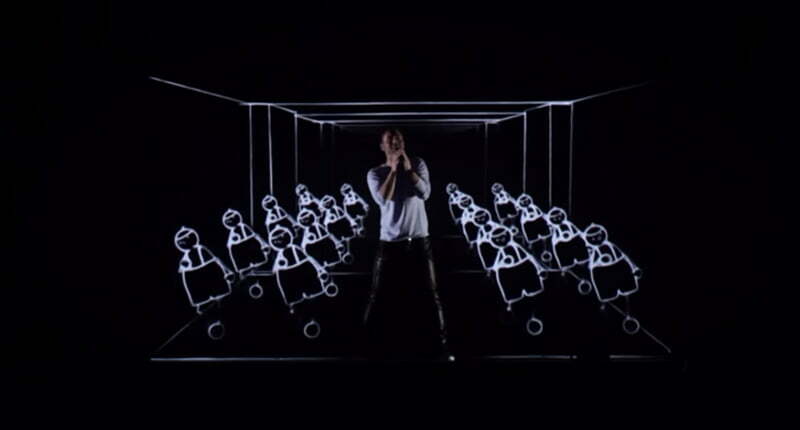 The combination of a great song, strong vocals and a heart-warming visual spectacular has created a moving and memorable performance that has really resonated with Eurovision fans. An uplifting performance of his song “Heroes” at the Swedish selection show, Melodifestivalen made the song an instant hit throughout Sweden and until up recently, the excitement and the songs popularity had been contained there. Warm up sessions, rehearsal recordings and previous YouTube videos of the song being performed are already attracting huge amounts of attention online. Zelmerlöw was forced to apologise last year – after upsetting the gay community following comments he made on celebrity cooking show ‘Pluras kök’. According to wiwibloggs, he stunned other guests into silence at the time by calling homosexuality abnormal – before claiming “it isn’t equally natural for men to want to sleep with one another”. The people of Sweden have forgiven the singer for his comments and it seems his nation and a growing portion of Europe are fully backing him to win. His performances of Heroes at this week’s finals in Vienna are forecast to cause an outbreak of “Måns Mania” across Europe. Where can I see the show? Full coverage of the live semi-finals is broadcast on BBC Three at 8pm until 10pm, presented by Mel Giedroyc and Scott Mills. Graham Norton will, as usual, provide us with some witty commentary over on the BBC. Nigella Lawson confirmed on Twitter that she will be serving up the UK’s Eurovision scores when she takes to reading out the results of the nation’s voting live on the BBC live from London. Nigella confirmed news of the gig in three languages after being questioned by a fan on Twitter about rumours she was becoming a Eurovision spokesperson. “Yes, it’s true. Oui, c’est vrai. Ja, das ist wahr,” she wrote. She takes over the role from Radio 1 DJ Scott Mills, and follows in the footsteps of Lorraine Kelly, Fearne Cotton and Duncan James from Blue. The main event will be hosted by Mirjam Weichselbraun, Alice Tumler and Arabella Kiesbauer, with reigning champion Conchita Wurst – taking over in the Green Room. As part of the ‘Big Five’ nations who put the most amount of money into the competition, the UK, Spain, France, Germany and Italy will all automatically qualify. As the winning nation last year, so too will Austria. Australia are taking part in the finals this year – as a special one-off to celebrate the competition’s 60th anniversary. Songs cannot be longer than three minutes and a maximum of six people are permitted on the stage at any one time for each country. Animals are strictly banned, as are purely instrumental numbers. Sweden is one of the most successful countries in the contest, having won five times already. Ireland has won 7 times, Luxembourg, France and the United Kingdom have also won 5 times. The 2015 Eurovision Song Contest is held in the capital of Austria, Vienna. It is the second time in history the city hosts the contest. The right to host the 2015 contest came following Conchita Wurst’s historic victory in Copenhagen last year. Conchita’s song “Rise Like A Phoenix” amassed an astounding 290 points from votes across Europe. This is Austria’s first Eurovision win since 1966.
Who will compete in the semi-finals? Graham Norton and Eurovision 2013 presenter Petra Mede host a special concert to celebrate the 60th anniversary of the Eurovision Song Contest. London’s Eventim Apollo Hammersmith is the venue for this official anniversary event, which features some of the contest’s most iconic songs performed by their original artists, including Brotherhood of Man, Johnny Logan, Dana International, Lordi and reigning winner Conchita. Arguably the contest’s most iconic interval act, Riverdance, is back for an appearance too. Other winners amongst the 15 performers from 13 countries include Nicole, Loreen, Herreys, Dima Bilan, the Olsen Brothers, Anne-Marie David, Bobbysocks and Emmelie de Forest. Rosa Lopez performs a medley of some of Spain’s best Eurovision entries, while Natasha St-Pier represents France with one of the country’s biggest Eurovision hits, Je N’ai Que Mon Ame. Have a great Eurovision 2015! Video: Transvestite Social Experiment. What would you do?